The history of the Corps! 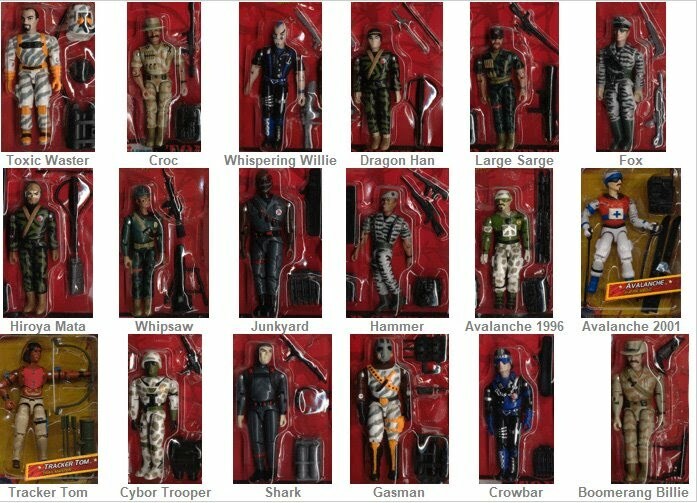 military action figure line begins in 1986 when the first series of 24 figures was released. Shortly thereafter another 6 figures were added bringing the assortment total to 30. These 30 figures would be Lanard's staple military line for the next 10 years, appearing under several different sub-titles such as International Security Force and World Force Response Team. The 30-figure assortment was repainted and re-released approximately four times between 1986 and 1995. It was also repainted for one or more offshoots, one of which was called "Gung-Ho". During the 80's three larger vehicles were also introduced: the patrol boat, the tank, and the jeep. Frequently, the vehicles were not carried by retailers even when the figures were. Because of this many people are not aware that these original three vehicles are more than 10 years old! In third-quarter 1996 Lanard performed a heavy upgrade of the Corps! line. They removed six figures returning to the original 1986 assortment of 24, then repainted them. This time the color schemes would look much more militaristic. There were six color schemes and three figures in each color scheme. At this same time all packaging received an attractive update with a red barbed-wire background. Existing vehicles were repainted in much more militaristic schemes. Three new vehicles were added to the assortment- an APC (armored personnel carrier), a Humvee-styled jeep, and a 6-wheeled all-terrain troop carrier. A seldom-seen helicopter modelled after the U.S. military Cobra helicopter was also introduced. Two offshot figure/accessory assortments also appeared. Animal Patrol was six Corps! figures with animal companions and special accessories. Mounted Patrol was four new figures on horseback. Neither of these offshoot assortments were readily available in the U.S. In 1999 the Corps! received another overhaul. The series got a new subtitle - Max Power/Total Action Series, and a slight change to packaging motif. Six more of the original 24 figures were removed from the assortment. They were replaced by six new figures. Three of the figures were entirely new and represented an even more detailed approach that should appeal like never before to GI Joe 3 3/4" collectors. The other three new figures were repainted from the Mounted Patrol series. 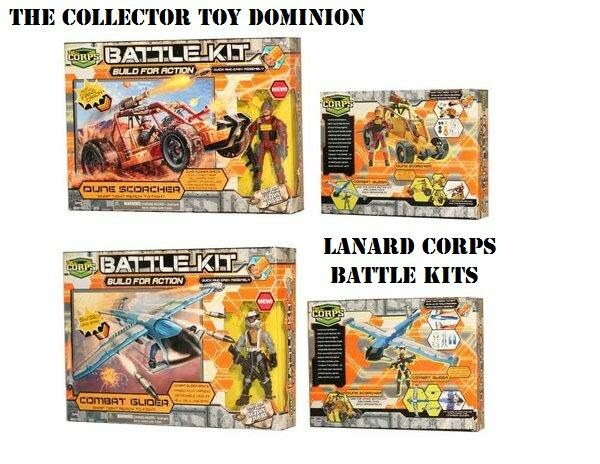 The following small vehicles and playset items were added: two types of bunker positions, a 4-wheeler ATV, a small one-man helicopter, and a jet-pack/flight wing. Despite the changes over the years the existing characters have retained the same names and usually the same accessory complement. 1986 - Initial release. 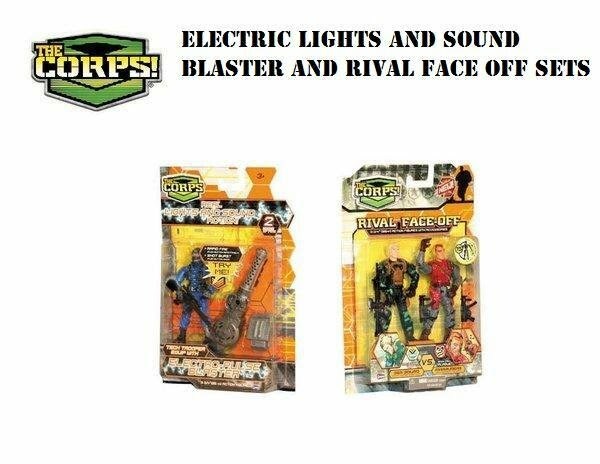 Adds Jones, Bengala, Toxic Waster, Avalanche, Chopper, Cybor Trooper, Gasman, Night Laser, Gunner O'Grady, Shark, Hammer, Tony Tanner, Whipsaw, Fox, Crowbar, Croc, Whispering Willie, Large Sarge, Dragon Han, John Eagle, Hiro Yamata, Flashfire, Boomerang Billy, and Junkyard. 1988(?) - Adds Brickwall, Crusher McClosky, Hat Trick Lemonde, Lightning Mobutu, Sensei Kobuto, and Steve Wyoming. These characters were notorious for being very bizarre. 1996 - Removes Brickwall, Crusher McClosky, Hat Trick Lemonde, Lightning Mobutu, Sensei Kobuto, and Steve Wyoming. 1999 - Removes Bengala, Toxic Waster, Gasman, Night Laser, Crowbar, and Whispering Willie. 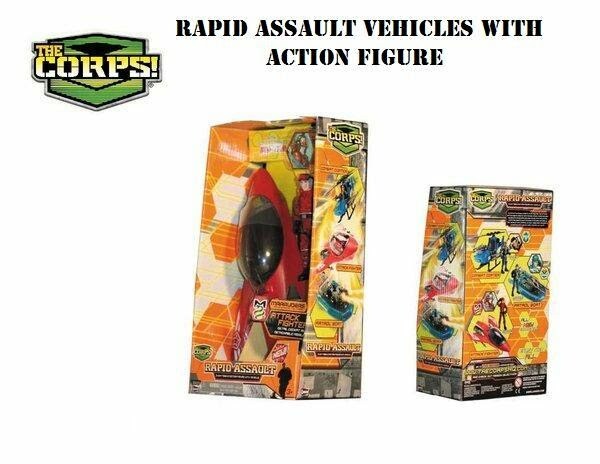 Adds Full Proof, Justin Case, Lars Lazer, Shooter Sam, Rick Ranger, and Tracker Tom. Want to discuss the Corps?